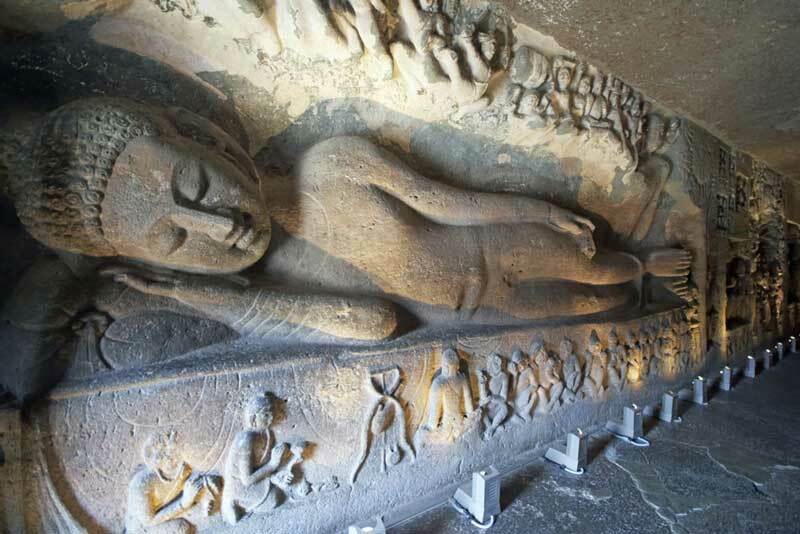 Ajanta Caves, situated at a distance of 107 km north of Aurangabad in India, were accidentally discovered by an Army Officer in the Madras Regiment of the British Army. On a certain day in 1819 the said Army Officer, John Smith was separated from his friends during one of his hunting expeditions, after they were attacked by a tiger. To save his life John Smith fled into the deep mountain jungle and lost his way. Suddenly, from a long distance, his eyes caught sight of a curious shaped rock-wall covered with bushes and shrubs. 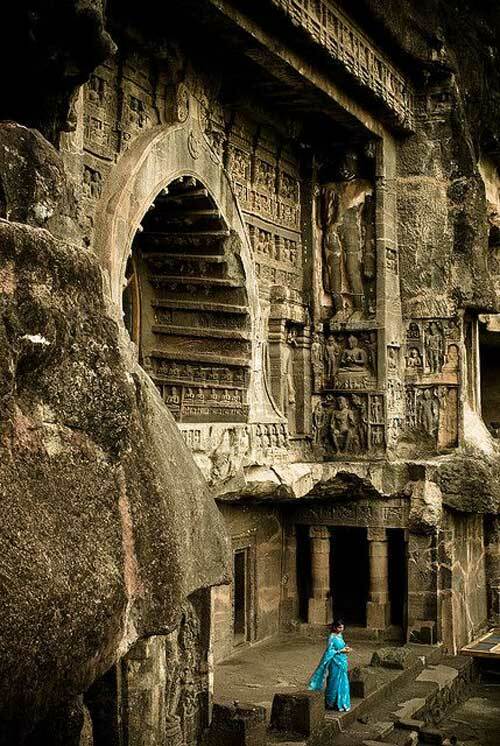 As he approached closer, he found that it was a horseshoe shaped window, excavated in the rock with minute carvings. After he came back to his camp, he informed his superiors about his findings and soon the authorities started to excavate it. The shock of the excavation was worldwide. 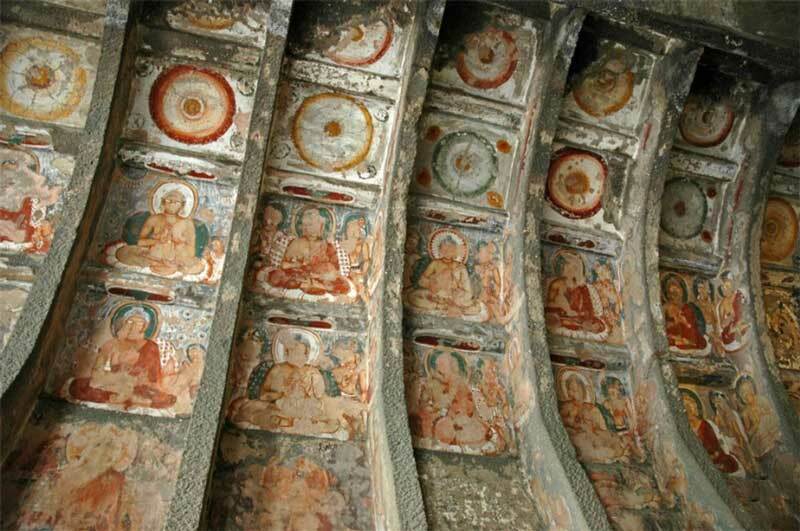 They found that all the rock-cut caves had hundreds of paintings, which include among others, figures of Lord Buddha and the stories of his life, on verandas, inner walls and ceilings and they are some of the most beautiful masterpieces of world art. 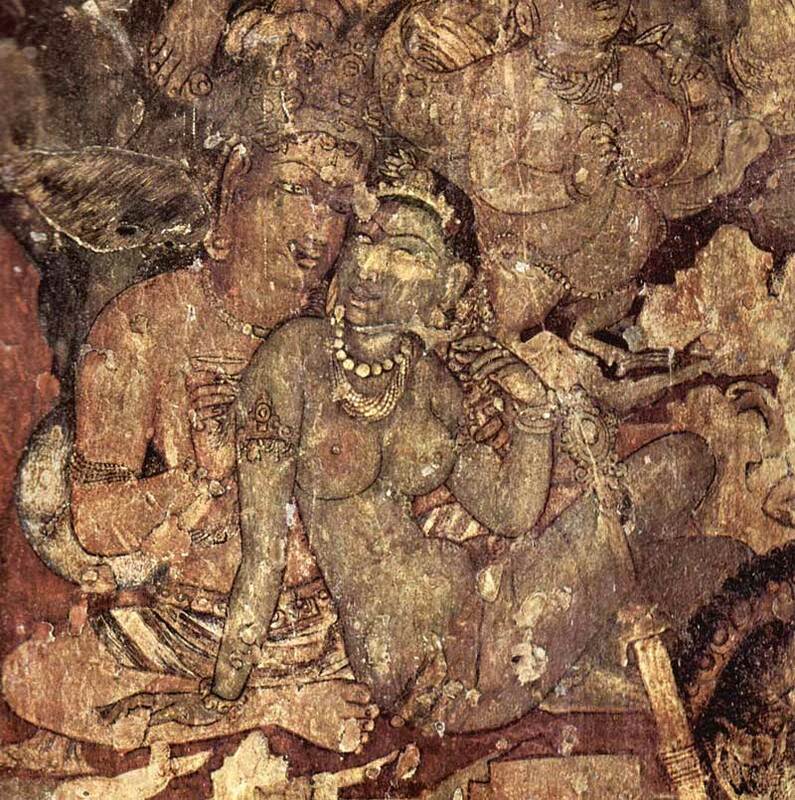 In fact, the caves, famous for its murals, are the finest surviving examples of ancient Indian art. 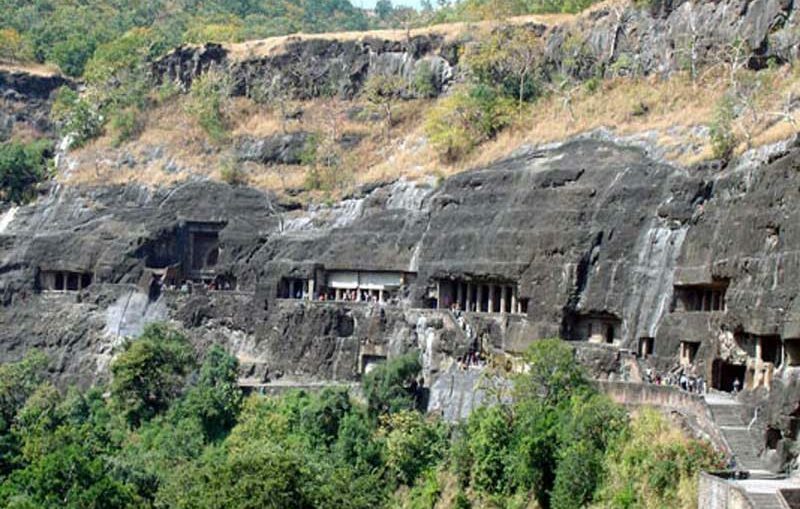 It was estimated that the caves at Ajanta date from the 2nd century B.C. to about 480 or 650 A.D. 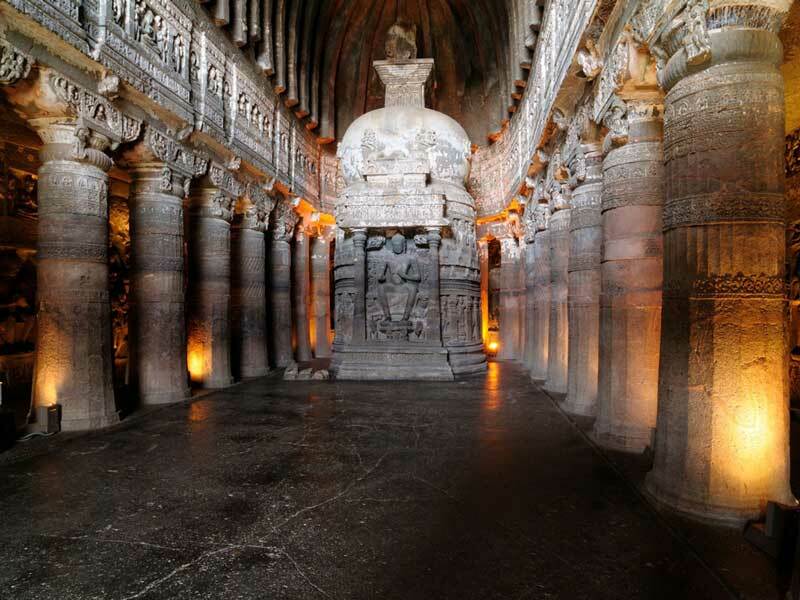 The Ajanta Caves are located at a height of 76 m, overlooking a narrow stream known as Waghora. The location of this valley,far away from locality, provided a calm, peaceful and serene environment for the Buddhist monks who retreated at these secluded places during the rainy seasons. The caves were meticulously connected to the stream by a flight of steps, which are now almost lost. In total 30 excavations were hewn out of the rock which also include an unfinished one. Among the excavated caves, five (cave nos. 9, 10, 19, 26, and 29) are Chaitya Grihas and the rest are Viharas. 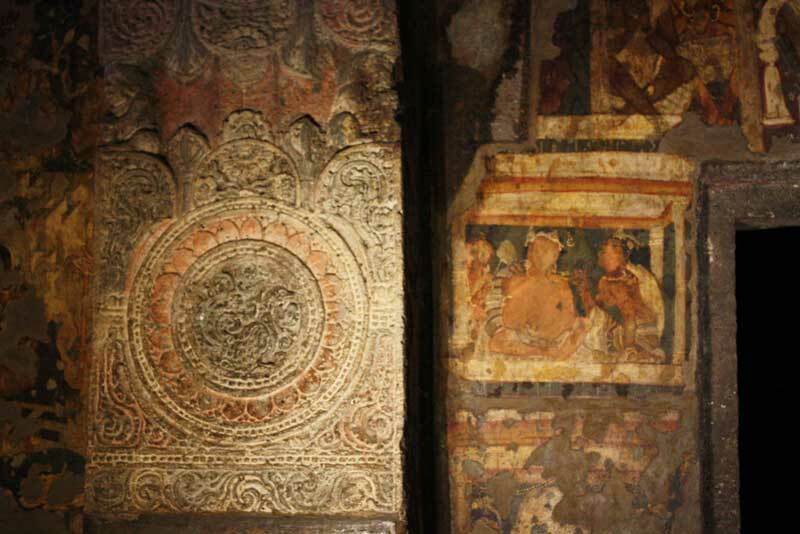 It is generally accepted by the scholars that, the earliest group, consisting of caves 9, 10, 12, 13 and 15A, belongs to the Hinayana tradition of Buddhism, but opinions differ regarding the century of initiation of the caves. 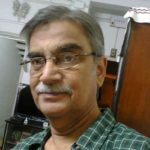 It is said that, they were made during the period 100 BCE to 100 CE, probably under the patronage of the Hindu Satavahana Dynasty. 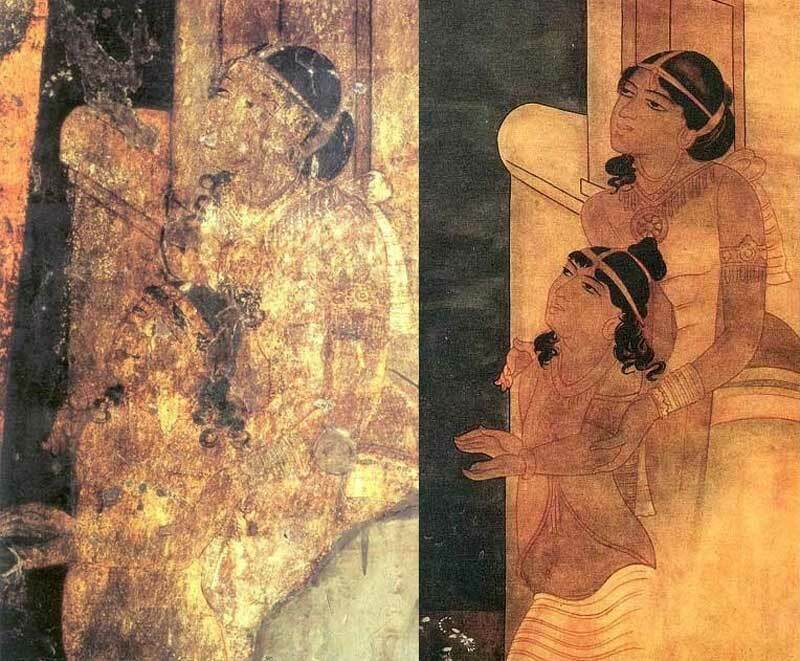 However, others opined that, they were built during the Maurya Empire (300 BCE to 100 BCE). 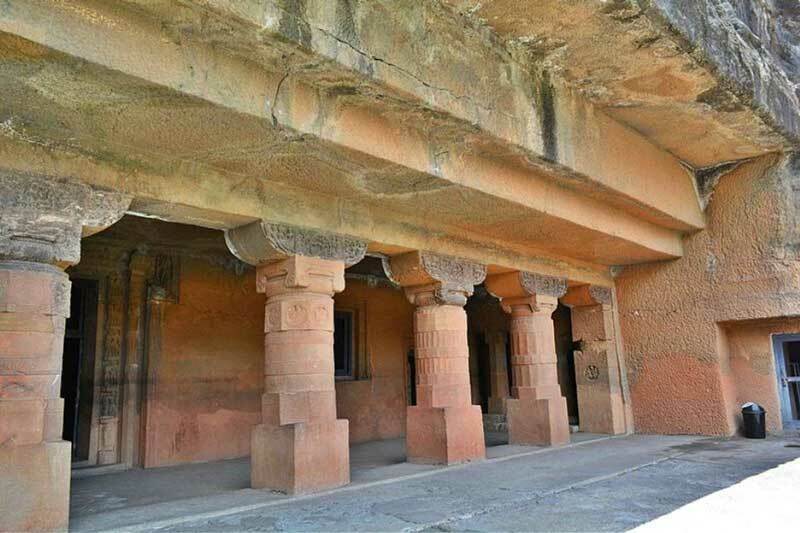 Of these, cave 9 and 10 are Stupas, which contain worship halls or Chaitya Griha, and caves 12, 13, and 15A are Viharas. After the completion of the early caves, the site was not further developed for a considerable period until the mid-5th century. 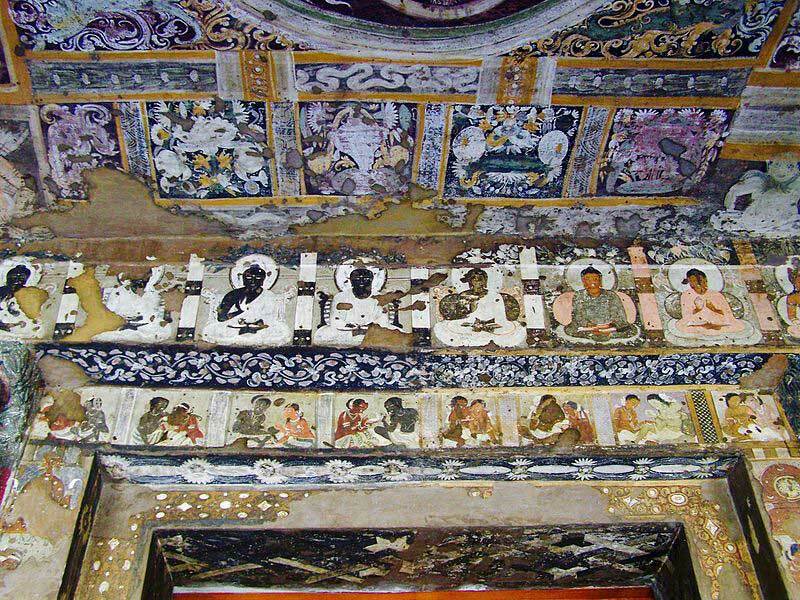 However, these early caves were in use during this dormant period, and Buddhist pilgrims visited the site according to the records left by Chinese pilgrim Fa Hien around 400 CE. 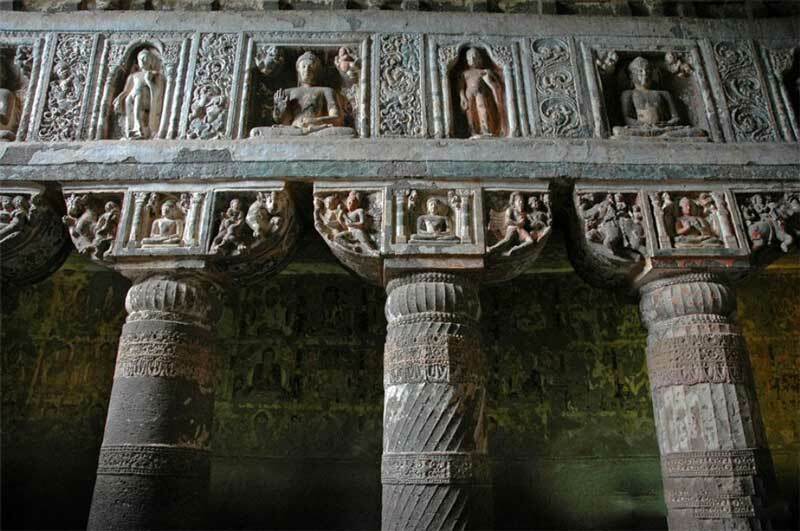 The second phase of construction at the Ajanta Caves site probably took place over a very brief period, from 460 to 480 CE. 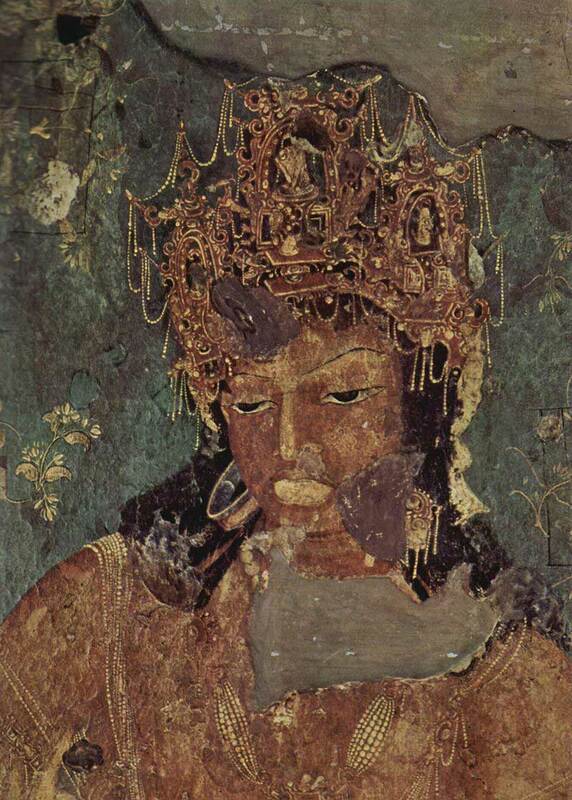 This phase is attributed to the theistic Mahayana tradition of Buddhism. 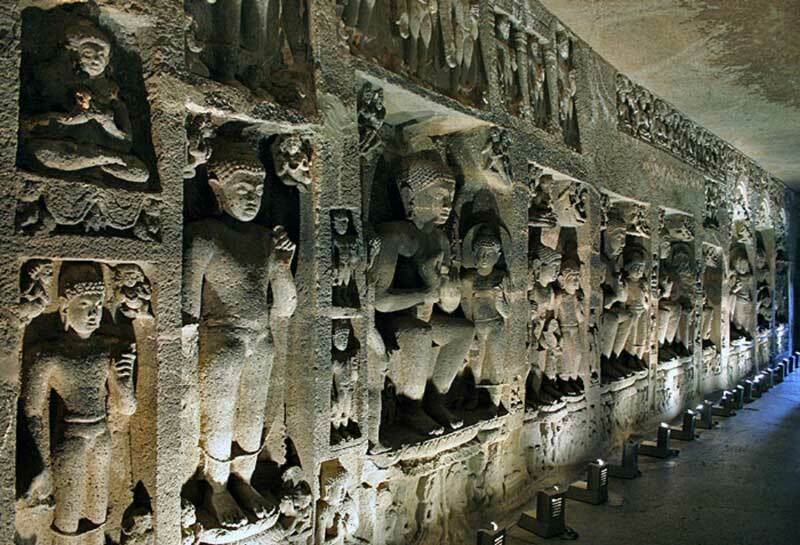 Caves of the second period are 1–8, 11, 14–29, out of which cave nos 19, 26, and 29 are Chaitya Grihas and the rest are Viharas. 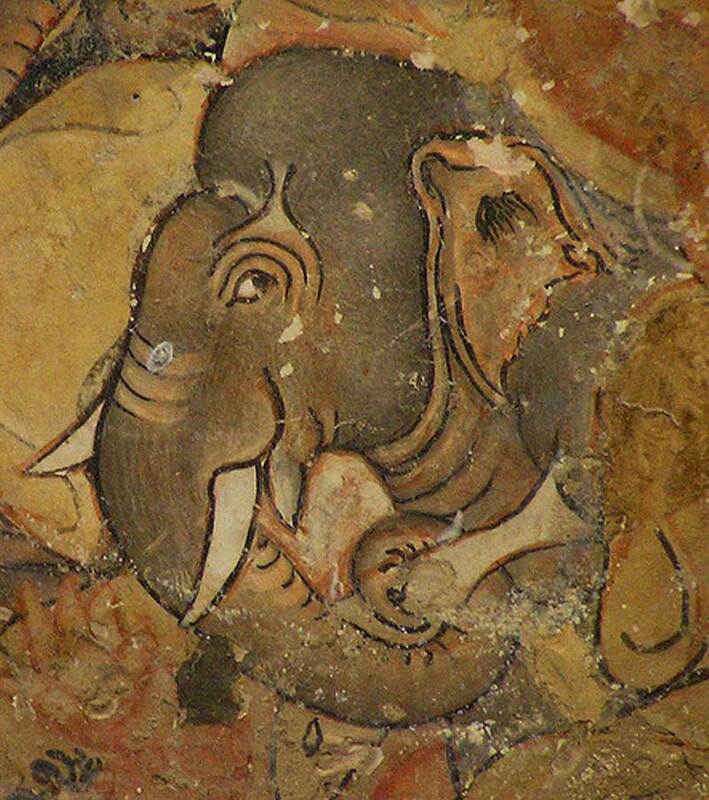 It is interesting to note that, most elaborate caves were produced in this phase. 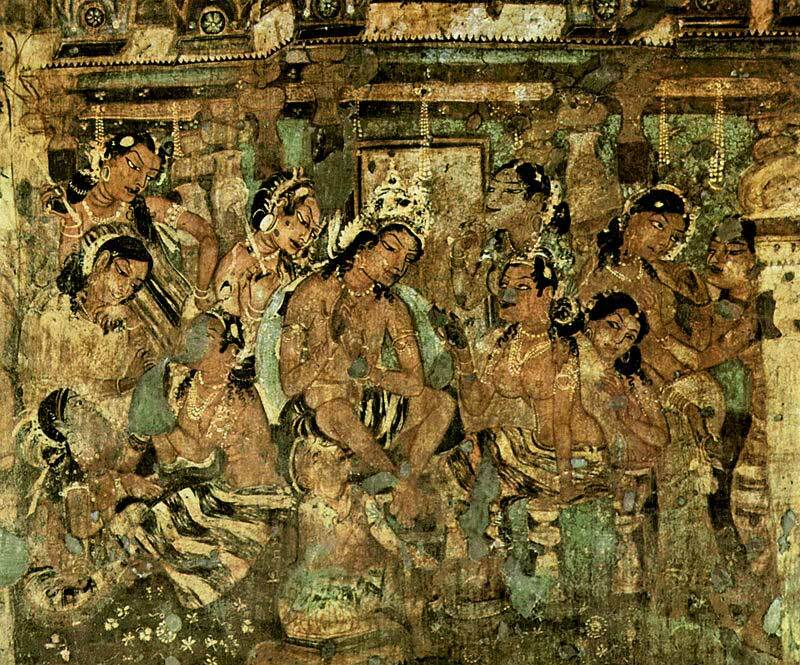 Ajanta Caves contain world’s most famous paintings. 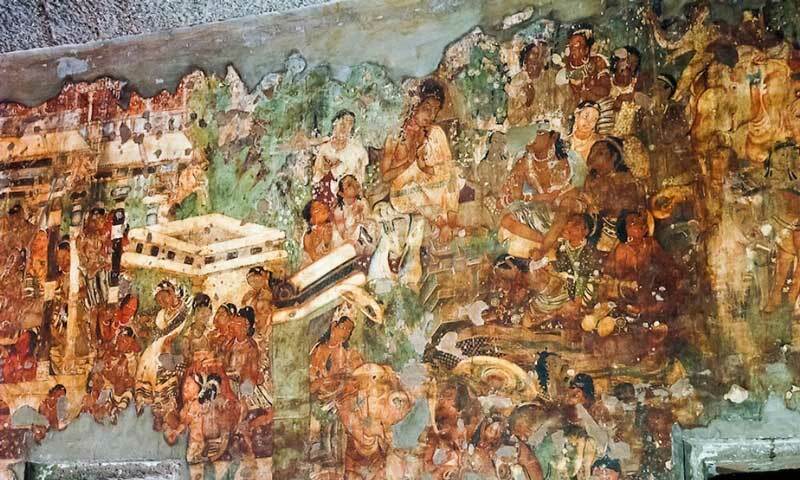 The paintings on the walls of the caves are mostly related to the past lives and rebirths of Buddha, better known as Jataka Tales. 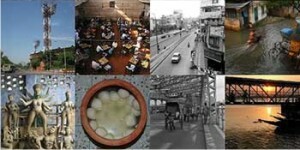 A few other contemporary incidents are also depicted. The aesthetic sculptures are considered as classical Indian art. 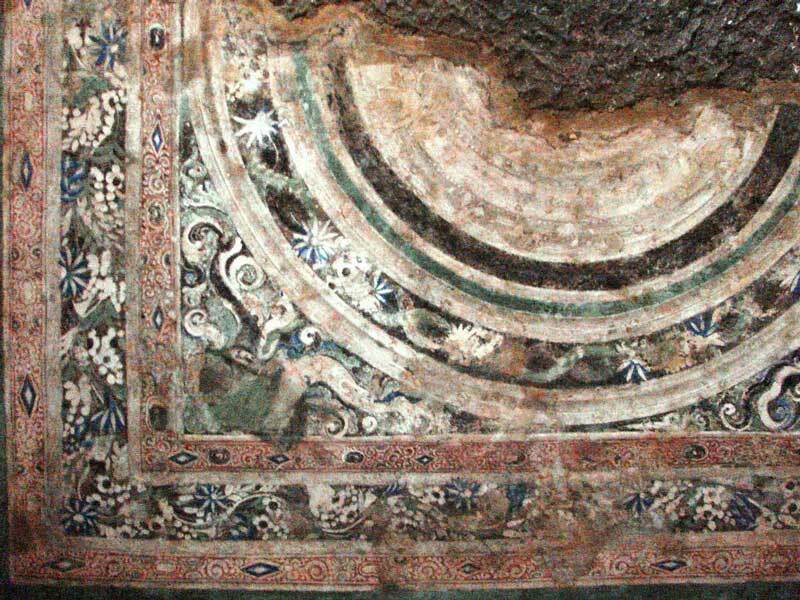 The decoration on the ceilings is adorned with floral and geometrical carvings. 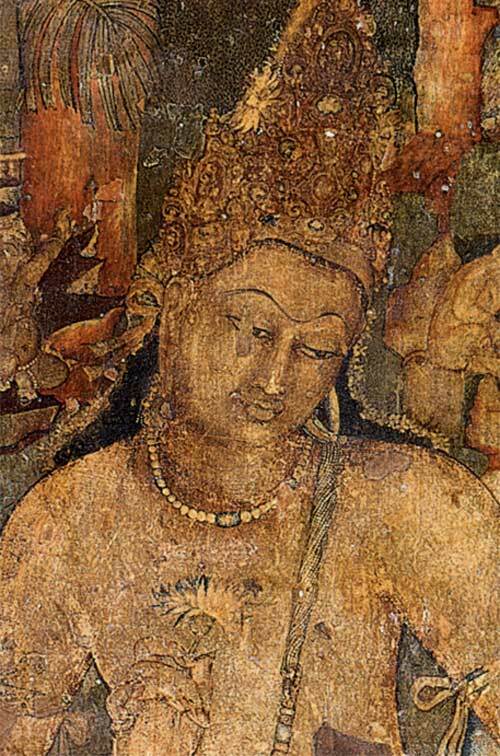 Cave 16, 17, 1 and 2 of Ajanta form the largest collection of surviving ancient Indian wall-painting. 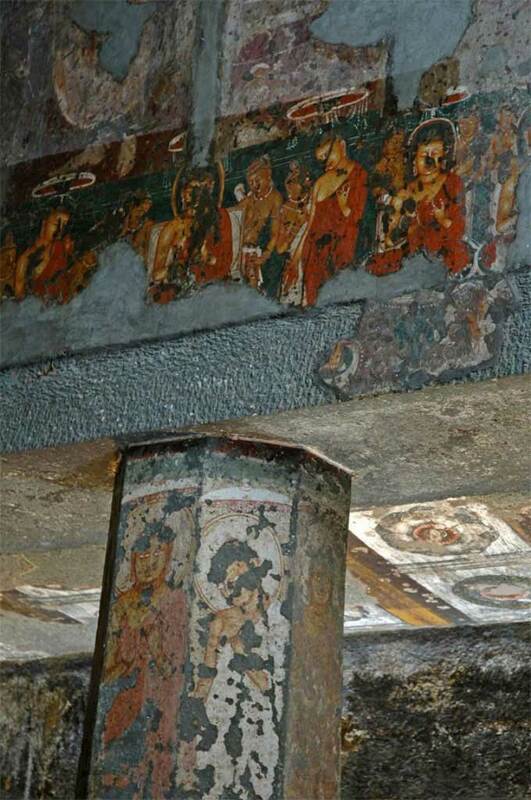 Several fragments of murals preserved from Cave 9 and 11 are also effectively unique survivals of ancient painting in India. Covered under the thick foliage in the realm of the wild and the wilderness and concealed from the human eyes for thousands of years, this magnificent work of art, architecture and contemplation, was abandoned by those who created it long, long ago. Fortunately, today the site is protected carefully by the expert persons and in 1983, it was declared as a UNESCO World Heritage Site by the World Heritage Committee.